We’ve made it to Friday so we deserve a celebration! Is anyone else as ecstatic as I am? This week was a busy one with lots of visitors, and we’re turning right back around and heading up to the Bay Area for the weekend to celebrate Easter with our families (amongst other things.) I love being busy and seeing all of our close friends and families and I wouldn’t trade it for the world, but sometimes it’s hard to catch a breath! I know this is just the beginning, though. Our social butterfly life is only going to get more intense as we get closer and closer to the wedding. I can’t believe our Big Day is just over four months away! Eek! I think the only logical way we’re going to make it through the foreseeable future is with mimosas. Lots and lots of mimosas. 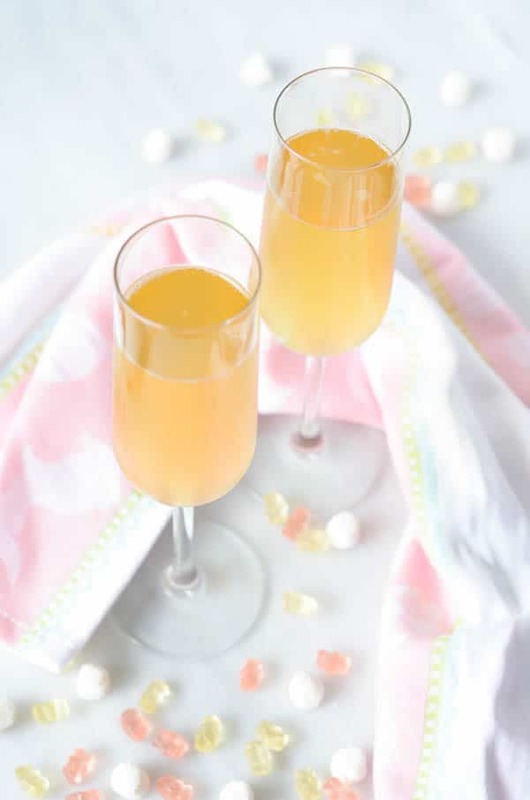 I love just about any kind of mimosa (or sparkling wine in general for that matter, as long as it’s not too sweet) but we’re really kicking it up a notch today with Peachy Tangerine Kombucha Mimosas!!! That’s right folks. I mean, it’s only logical that, if we’re going to be consuming our fair share of the world’s favorite brunch drink (sorry Bloody Mary lovers, I just can’t hang with you), we should add some healthy, good-for-you kombucha for that extra jolt of energy and probiotic boost that will make these TOTALLY worth our while. I know I’ve said it before, but I absolutely LOVE TheBu Kombucha(as I so clearly demonstrated in this Tropical Rum Runner.) Even better, it’s a local brand brewed practically in my own backyard. 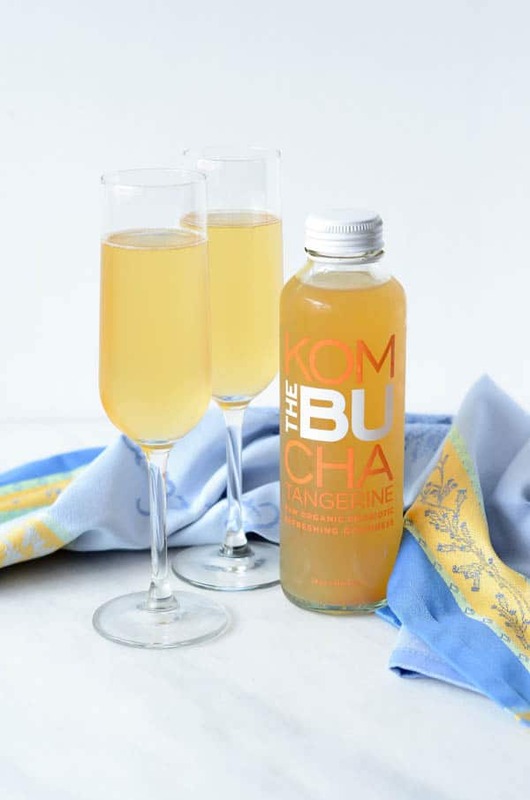 I was itching to make some sort of Easter-themed mimosa to share with you all, so when I was enjoying myself a big frosty bottle of TheBu Tangerine Kombucha the other day, the light bulb went off in my head! Using TheBu also solves the problem of adding a little bit of fun flavor to our sparkling wine without making it overly sweet. It’s got just the right hint of tangerine, but still has the little fermented kick that you get with all kombuchas. Of course, I couldn’t leave it at that and had to dip into our ever-growing collection of flavored vodkas that the future hubs gets through work, just to add a little something else that really makes this drink scream “spring!” Belvedere Peach Vodka to the rescue! Confession: I really wasn’t sure about this flavored vodka addition at first. To be honest, I had to be convinced. 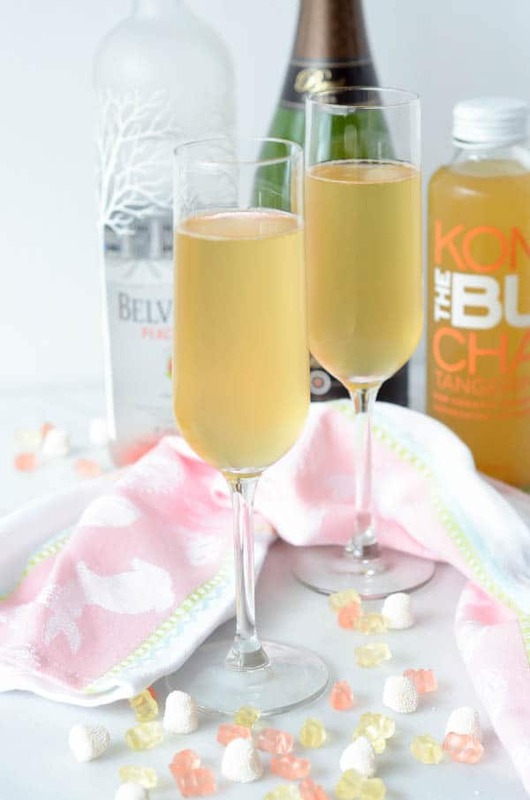 I thought the sparkling wine combined with the kombucha would need just a little touch of sweetness (from juice, a liqueur, etc.) 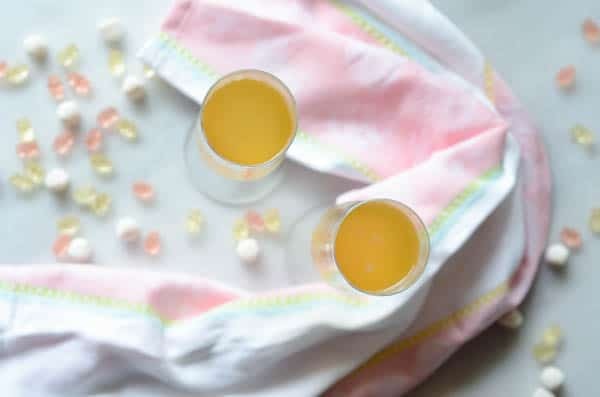 to make this truly taste like a “mimosa,” but boy was I wrong! I’m so glad I listened to my better half and went for the flavored vodka. It adds JUST the right amount of peach flavor to this drink to give it more of a three-dimensional, floral, spring-like character. So much better than everything else I was trying to do with it. Thanks babe! You know you don’t have to ask me if these are going to be on the menu for Easter brunch this weekend (if you do, we must be complete strangers :P) but my question for you is: Are they going to be on YOUR Easter brunch menu? You’ll do yourself a solid by making it happen. 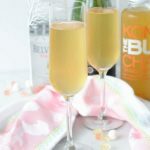 Or, if super-delicious, refreshing, energizing Peachy Tangerine Kombucha Mimosas don’t sound like your jam, feel free to check out any number of my other delicious cocktail creations (see Exhibits A, B & C.) There’s bound to be something there you’ll like! Now, don’t mind me while I run to Whole Foods and stock up on my tangerine TheBu Kombucha. Happy Easter everyone! 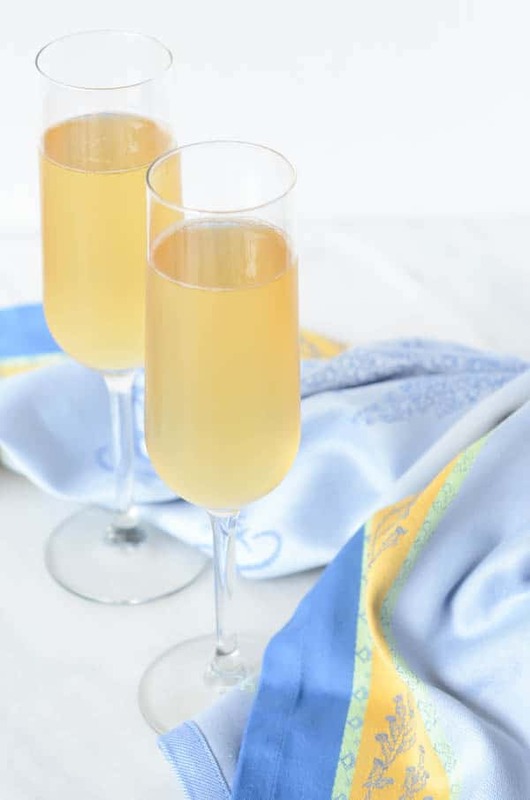 A refreshing twist on the classic Mimosa utilizing kombucha and peach-flavored vodka. The perfect drink for spring! Combine all ingredients in the above order in a champagne flute. Serve immediately. This. Looks. Amazing. Now if only I could find that kombucha somewhere locally! Well judging by how good their product is, they should be expanding quickly! In the meantime, try out another flavor/brand of kombucha and let me know how it goes!